Sama always had a big love for music. At the age of 9 he was playing vinyl records of his then biggest hero, Tiesto. Dreaming of the same life as all the big DJ’s in the scene, he started producing at the age of 14, and he found out that this was the thing that he wanted to do with his life. First he started producing progressive house and EDM, but as he started to grow older, he became infested with the more repetitive and dark sound of underground Techno. 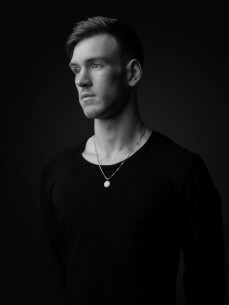 And so he shifted in style from progressive house to a style of Techno that still sees this older influence in the tracks he produces right now. His style of Techno is really one of it’s own, with big, euphoric synths supported by huge and hard-hitting drums. In 2014 he signed his first record deal at a starting South-African label. Since then he started growing real quick, as he’s now releasing on labels like Funk’n Deep, sub:Merged, Hi Tek, Respekt and more. As more tracks release, more appreciation begins to pick up, and with that, he got a residency at the famous Techno Tuesday in the Sugarfactory in Amsterdam. The upcoming year is looking to be a very promising time of growth for this young producer.